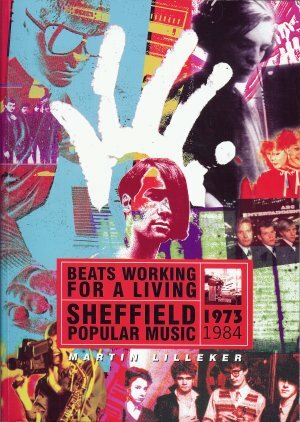 This book is a detailed history of popular music in Sheffield focussing on the period from 1973 to 1984. There is a 12-page chapter about Pulp's first decade of existence. Also, among the lesser known bands featured are Artery, who Jarvis cites as an early influence, and Dig Vis Drill, who toured with Pulp in 85 and 86. Jarvis was interviewed for the book, and he is quoted frequently in Pulp chapter, as well as occasionally throughout with his memories of other bands. The book comes with a 22-song CD featuring rarer tracks from some of the bands featured. This includes one previously unreleased Pulp track, which is Death Comes to Town. This was recorded in December 1987 and was going to be released as a title track for a single. This ultimately failed to materialise and only the Death Goes to the Disco remix later appeared as a B-side.